Product prices and availability are accurate as of 2019-04-19 06:20:48 UTC and are subject to change. Any price and availability information displayed on http://www.amazon.com/ at the time of purchase will apply to the purchase of this product. 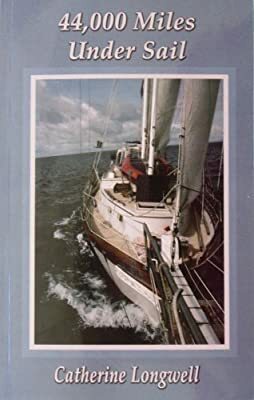 Author Bookstand is proud to offer 44,000 Miles Under Sail by Bookstand Publishing. Bookstand Publishing offers books by the best indie authors throughout North America and the world. Bookstand Publishing is dedicated to offering original content to a broad audience and promoting great authors, literacy, and freedom of expression. 44,000 Miles Under Sail has generated a lot of interest and excitement and we think it would be an excellent addition to your library. 44,000 Miles Under Sail is the story of Ed and Catherine Longwell's sailing adventure around the world aboard the schooner Pegasus. The nearly seven-year voyage took them across vast oceans where they dealt with storms and mechanical breakdowns, testing them physically and mentally. Along the way, they spent time visiting many exotic lands, embracing the varied cultures and revelled in the peace and freedom of the open waters. Follow their journey of exploring the world in a small sailboat that takes them to the lush South Pacific islands, the deserts of South Africa, the seldom visited Ascension and St. Helena Islands of the Atlantic, the anchorages along the Venezuelan and Colombian coastline, then passing through the Panama Canal to finish their dream of circumnavigating the globe.